Make your brand more conspicuous among numerous companies by advertising on Facebook, and you will get unexpected opportunities for your business. 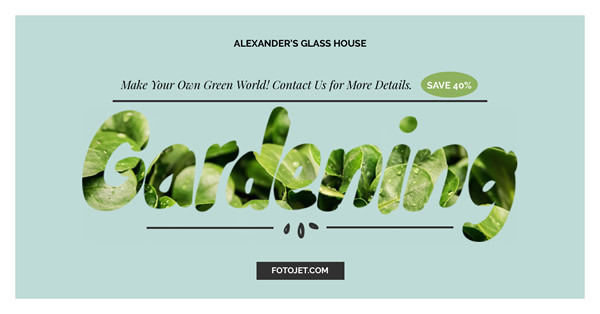 Free Facebook ad maker FotoJet gives you excellent templates for your gardening store to help you attract more customers. You can make custom creations with this Facebook ad template with a few clicks, replacing the default photo with your desired one, and customizing the styling and text. Use your imagination to paint your own Facebook ad design in a wonderful look.